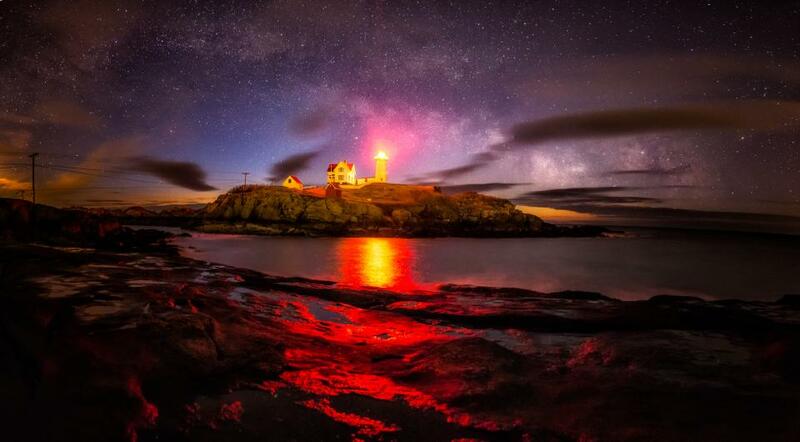 The Milky Way rises over Nubble Lighthouse in Maine in this panoramic image I captured at the very beginning of Milky Way season. During the last week of January (if the moon cooperates and stays hidden) our galaxy is visible on the horizon here on the east coast in the early morning hours. I captured it's rise here with a multiple image panorama.